On June 17, President and CEO of Audemars Piguet North America Francois-Henry Bennahmias will be honored by the California Gov. Arnold Schwarzenegger at the After-School All-Stars Gala at the Mandarin Oriental. ASAS New York President Mary Perry will be honored as well. “Our entire U.S. charitable efforts started with Gov. 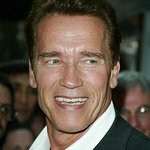 Schwarzenegger and After-School All-Stars and this relationship has undoubtedly been the inspiration for our never-ending commitment to always giving back,” Bennahmias said. Audemars Piguet has displayed outstanding commitment to ASAS, seizing the opportunity to create limited edition watch lines and special events to raise more than $8 million for ASAS. After School All-Stars provides comprehensive after-school programs for approximately 80,000 youth. The program contains a plethora of sites from New York City to Hawaii to serve the needs of children across America. Seventy percent of the programs procured by ASAS are designed for middle schools. The high percentage of programs for middle-school children is attributed to the fact that eighth graders across America are more likely to abuse drugs as well as drink and smoke. The event will feature a live auction including some of the hautest gear of Audemars Piguet timepieces. The featured special timepieces to be auctioned off are scheduled for general market release in March of 2011. Guests of the ASAS gala will also enjoy pleasing sounds of pianist Emily Bear and singer Siedah Garrett.